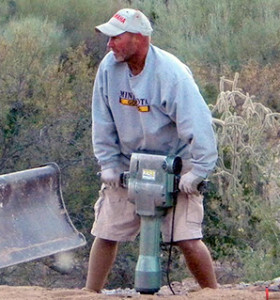 Tucson Landscaping for over 30 years! 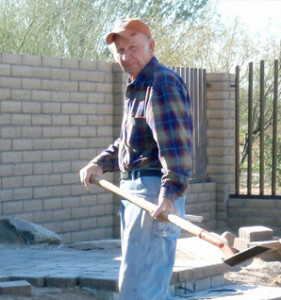 Since 1983, my father and I have had the pleasure of providing retail nursery, landscaping, irrigation, and landscape maintenance services to Tucson and the surrounding communities. We have installed design built landscapes and, irrigation systems for thousands of wonderful residential clients. We have had the privilege of working for the University of Arizona, Sunnyside School District, Amphi School District, Castle and Cooke (which at the time was owned by Dole Foods), Davis Monthan Air Force Base, Fort Huachuca Army Base, Apache Gold Casino, United States Border Patrol, Finisterra Homeowners Association. My grandmother use to tell me that my design background came from a long distant relative Sir Christopher Wren who was an architect in England back in the 1600’s and who was responsible for building St. Paul’s Cathedral. From the first day I started this business I have had a deep passion and vision for helping our clients make their dreams into reality. I have been blessed to have worked with my mentor for over thirty years, and even more blessed that he is my father. Richards’s knowledge and drive is legendary. His work ethic and quality is second to none. I consistently hear from our clients what a joy he is to work with. Our purpose is to deliver a level of WOW unattainable by any of our competitors. To simply step into our client’s shoes giving them the level of respect and attention they deserve. To help them bring an ocean of serenity to their surroundings.